Motion Twin didn't come out of nowhere with 2017's hit Dead Cells, even if it seemed that way to players not familiar with web browser games. Rather, the game was a last-ditch effort at survival from a team that has existed for nearly two decades. 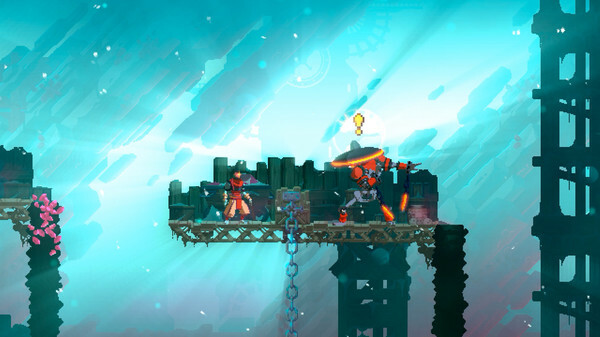 Speaking with GamesIndustry.biz at GDC 2019, Motion Twin designer Sébastien Bénard refers to Dead Cells as "the last chance for our studio." Motion Twin was founded in 2001 and for years mostly made web games with considerable success. But as the market for such games declined, the studio knew it needed to make a change. At first it tried mobile, but the shift proved daunting at first. Which is where marketing manager Steve Filby came in. "They brought me on to help with the transfer from web to mobile," Filby says. "I spent the best part of two years explaining how all that worked. They were seriously ready to hang themselves by the end of it. Mobile games didn't work, we hadn't been able to reproduce the web success we had had in 2007, 2009 when we made games that made a lot of money. And it's a worker's cooperative, so they were like, 'If we're going to go to hell in a handcart, let's do it doing something we want to do.'" "We needed to sell 20,000 copies in the first three months. We had no idea we were going to do that in the first day"
In the past, Motion Twin's structure had seen it working on multiple games at a time across a few tiny teams, despite already being a small studio. Though Dead Cells began similarly as a few different projects (including a scrapped tower defense game), ultimately the group decided to focus all their energy on a single title. Two and a half years later, the work paid off. Dead Cells fully launched in April of last year to critical praise, numerous awards (including The Game Awards for Best Action Game) and just last week, it was announced the game had surpassed one million units sold. "As the marketing dude, I was sitting by my crystal ball trying to work out, 'Okay, what if we sell this many? How much money do we need to make another game after this?'" Filby recalls. "We worked out that we needed to sell 20,000 copies in the first three months, and that would give us enough time to maybe make another game. At launch we were reasonably confident that we could do somewhere between 10,000 and 20,000 copies. We had no idea we were going to do that in the first day." Both Bénard and Filby were adamant that while Dead Cells' success has given Motion Twin the ability to scale up its operation, hire more, and think bigger, that's not what the studio wants. As a worker co-operative, every employee at Motion Twin has equal pay and equal say in the decisions made, and for them a smaller size is ideal to keep that structure functioning as well as it has. Of course, as a worker co-op, there isn't a boss up top who can lay off employees whenever they feel things have gotten too large. A person with knowledge of the studio told GamesIndustry.biz that while the staff certainly will shrink whenever someone leaves of their own volition, the team also has a process by which employees can voice concerns with others. Group discussions are used to resolve disputes, and any lay-off decisions are made just like all other decisions - as a team. "If we wanted to grow and be 30 people or 50 people, that might work," Filby says. "But Motion Twin is a worker's cooperative with no hierarchy and no desire to impose any kind of structural team-based leadership. That naturally limits the size of the team. Eight for us is good, if we get to ten that's pushing it. I think we got up to 17 once. "But if you scale [a co-op] larger, you have to think what happens when a decision is made and someone is not there"
"There were 14 people when I arrived and we dropped all the way down to six, because we had to find ourselves again as a team and find out what we wanted to do. There's no desire to mess with that right now. We want to find something that challenges us so we can punch a little bit above our weight, but something we can do as the size that we are today." Aside from wanting to keep the structure of the cooperative functioning well, Bénard and Filby say that they've seen a trend in the industry of teams having major successes with a game, then hiring lots of employees to work on the next big project without scaling their organization and communication protocols to fit the size. Bénard notes that keeping things small avoids problems like feature creep and, as he puts it, "growing in a stupid way just because we have money." "It's possible to do [a co-op] in larger systems, but most of the time when you have that kind of equality, you need many more systems than in a normal company," he says. "You have to make sure people really communicate, you have to make sure no information is lost, and you have to make sure everyone can express their feelings. Because we're small, it's easier for us because we can just talk to each other. But if you scale larger, even to 15, you have to think what happens when a decision is made and someone is not there. You have to make sure that person doesn't feel bad because the decision is something they would not have liked." Though Motion Twin has gained some attention for its co-op structure recently as other studios (including, most recently, The Glory Society) have adopted the idea, it wasn't always this way. The goal, Bénard and Filby say, was never specifically to make a co-op. Rather it was to avoid other grave issues the studio's founders had seen elsewhere in the industry by any means necessary. "When the founders decided to create Motion Twin this way, it was really because the two of them were former developer interns in a bigger company [Kalisto Entertainment]," Bénard says. "It was a famous company, and ended up being a good example of a big company going really bad, really quickly. They were traumatized by that experience and they wanted to make a company that was not about making sure the company would survive just long enough to pay them. They wanted to make a company which was strong enough to survive as long as possible. "If you're not a worker in Motion Twin, you're out. You can't sit back, kick your legs up, and collect the dividends"
Filby adds, "From a legal and technical perspective, when they first started the company it was a traditional company. They quickly ran into problems where, when you own shares in a company and you make money, those shares go up in value and then you don't necessarily have to be there and work. You can just skim money off the top. And they said, 'This doesn't feel right.' So for example, if you're not a worker in Motion Twin, you're out. You buy your shares when you come in, and when you leave you sell them for the same amount. You can't sit back, kick your legs up, and collect the dividends." "And there are still problems with it. It forces us, for example, not to have a lot of money in a stockpile. The money goes to the people who work in the company, and that means we're always in a situation where we're like, 'What are we going to make?' Because if we stop making games, then that's it." "What are we going to make?" is indeed the question Motion Twin is asking itself once again. One year after the launch of Dead Cells, Motion Twin is now in a comfortable enough position to try and answer it without the desperation it had when the team first began its pivot to PC and console. 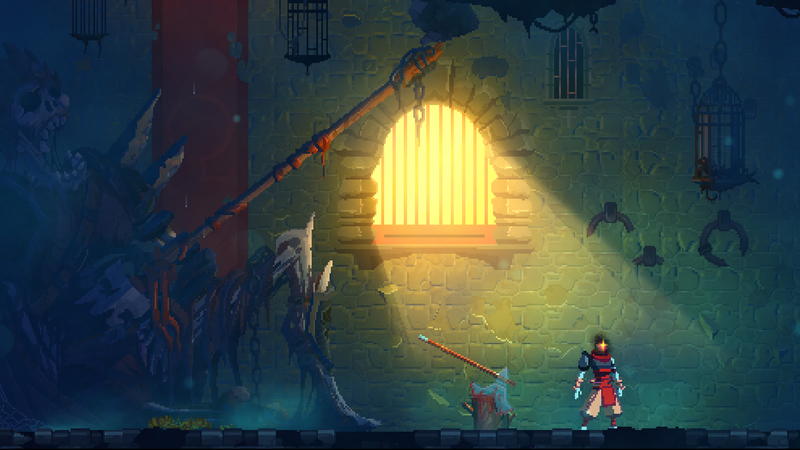 Bénard says the studio will certainly not go back to mobile, but that it also doesn't want to make a game similar to Dead Cells or a Dead Cells 2. Though the team is still brainstorming ideas, one thing the developers at Motion Twin do know for sure is that they want to be challenged in the same way they were with Dead Cells. "The studio structure allows everyone to have an idea," Filby says. "Because of that, if you come with an idea, you have to convince seven other people that your idea is better than everybody else's idea and that that's the idea everyone wants to work on. There is going to be a period of exploration where everyone comes with their ideas, everyone does game jams, people explore different technologies, there will be all these discussions going on about how we do things as well as what." Bénard concludes, "Dead Cells was quite a challenge to make with eight people - most games like that have more like 20-people teams. We don't know what our next game will be, but we know that we want this kind of challenge again, to make something which is a little too big for us, but make sure we find ways to squeeze it into a very small team."